There are many factors which contribute to a road accident, and every incident is different. While it's true that there is rarely a single cause of an accident, some issues are a lot more common than others. For instance, drivers failing to look properly is one of the largest factors. Statistics from the Department for Transport showed that, in 2014, failure to look was recorded in 44 per cent of accidents. Other causes include drivers exceeding the speed limit and drivers travelling too fast for the weather conditions, which were contributory factors in 16 per cent and eight per cent of fatal accidents respectively. Weather conditions can often make driving far more dangerous, with a slippery road playing a part in 9,802 of reported accidents in 2014. What are the main causes of road accidents? If you have been the victim of a road accident, then you may know all too well how difficult it can be to deal with the consequences. Depending on the severity of your injuries, your life could be completely changed. You may require extensive treatments and therapies, including special equipment, medication, and rehabilitation. You may be unable to work, and your injuries may cause a lot of emotional as well as physical suffering. All of this is considered when you make a claim for compensation, and an expert personal injury lawyer can help guide you along the process of making a claim, ensuring you get justice and the fair amount you deserve. Suffering an injury in a car accident can be a very emotional and distressing time for you and your family, but speaking to a specialist personal injury lawyer will hopefully help settle some of your worries. Thompsons can help make sure you receive the right amount of recompense for your injuries. 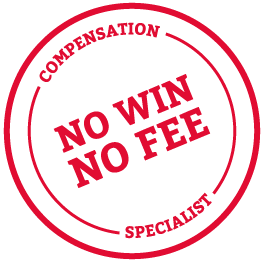 If you would like to find out more, give our No Win No Fee lawyers a call on 0800 0891331. We are happy to discuss your options and help you take your first steps towards receiving compensation.